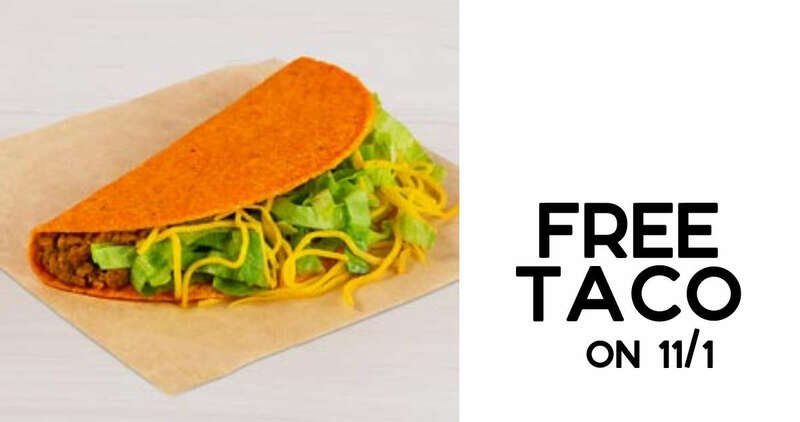 Here’s a heads up for you to head to your local Taco Bell restaurant on Thursday, 11/1, from 2:00 to 6:00 PM for a FREE Doritos Locos taco! There is no coupon required (everyone gets one since a player stole a base during the World Series). This offer is only valid on 11/1 from 2-6PM. Visit Taco Bell’s website for more information.